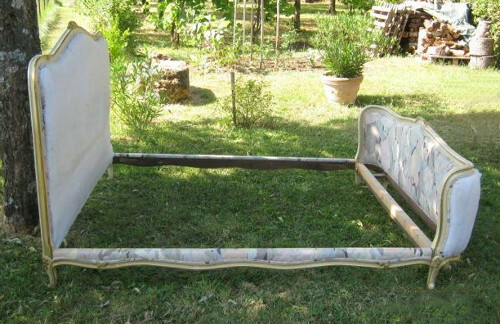 This beautiful old French demi-corbeille upholstered large double bed has a curved foot end. 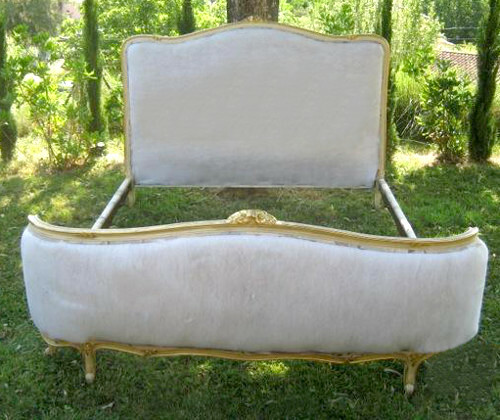 A pale cream painted carved frame which has excellent quality gold leaf gilding around the top edges and detail. Ready for re-upholstery -. please ask for a competitive quote. The height of the head is 124cm tall. Height of foot 71cm tall. 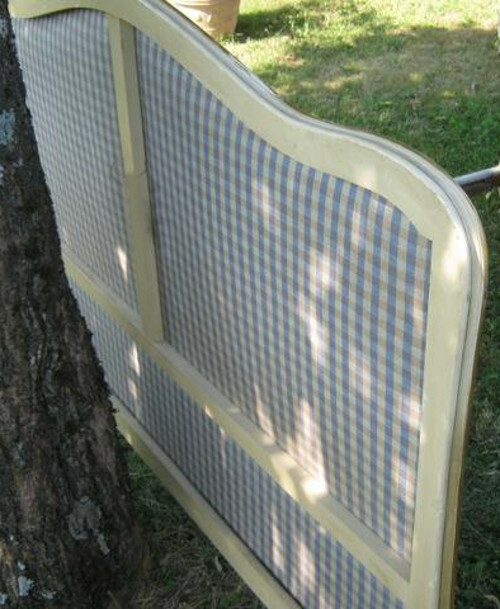 A custom made wooden slatted base is included in the price.